Published: October 12th 2012 by Vanguard Management, Inc.
Katie and Alex spend the holidays in a cabin, snowed in. Both were more than happy for the delay in their Christmas plans. Alex wasn't all too excited about what he has to do once he got home and Katie didn't like having to go to the middle of nowhere to stay at her mom's friend's (the "not" boyfriend) house. What started off as a slightly awkward and really unfortunate road trip turned into possibly one of the most memorable Christmases for them. I love how, for such a short book, Stanton was able to tell a full story that had depth and sufficient background for her characters. I was so engrossed in the story that I almost felt pissed the story ended so soon. I learned to appreciate Katie and Alex in less than 200 pages and I think that's saying something. I liked how fluid the story telling was. You learn more and more about the pair with every chapter at a steady pace. They opened up to each other slowly instead of just telling their stories all in one go. It was so fun reading how they managed to stay warm and comfortable inside the cabin using whatever they could find. It's like you could see just how well they mesh together by their teamwork throughout their stay. When they finally passed that line of friendship, it was too cute. I don't think it was fast in any way. Their attraction for each other was apparent and they were ready to start something new in their lives. In the end, I liked that they stayed together and started dating (officially) once they got back to school. 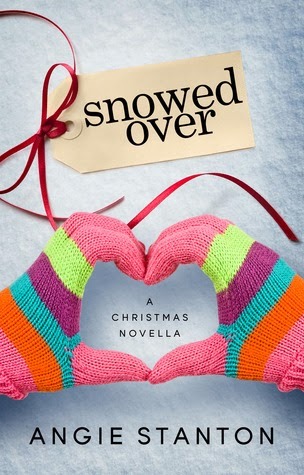 Friendship, romance, family and the holiday feels - Snowed Over by Angie Stanton is the perfect quick read for the holidays!